It seems that whenever there is an announcement about a milestone in DNA testing or a news article comes out about a “surprising find” using DNA (or Ancestry starts re-running the “lederhosen and kilt” commercial), there’s a commotion on social media. 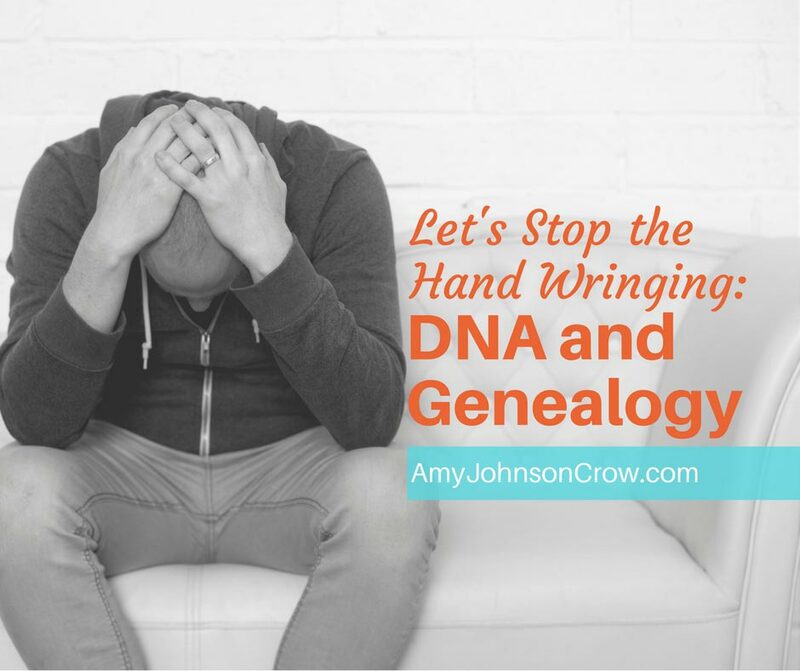 To my fellow professionals in the genealogy field, can we please stop wringing our hands about newcomers using DNA? Those statements are well-intentioned… but they miss the bigger picture. More than 3 million people have tested with AncestryDNA. There are more than 841,000 records in Family Tree DNA’s database. While there is overlap between the two groups, it’s clear that DNA is popular. What’s more, with the rate of growth that AncestryDNA is experiencing (11 months to go from 1 million to 2 million users and only 7 months to get to 3 million), it seems that DNA isn’t going away anytime soon. When “Roots” first aired in 1977 it was the first time that a lot of people grasped the concept that every family has a history. Genealogy and family history wasn’t something just for rich, established, “old” families. It was something that every family had and that anyone could start to pursue. The thing about motivation is that not only does it create different starting points, it also creates different ending points. Different motivations mean that people are going to be satisfied by different things. Saying that those who begin their genealogy journey via a DNA test “are going to be sorely disappointed when they realize you need to do research” presumes that the person taking the test is wanting to learn more than an ethnicity estimate. Saying that “it really isn’t that easy” presumes that the person taking the test wants more than the report will give. However, if the person taking the test is just curious about ethnicity or is taking it because they saw it advertised on tv, yes, it is that easy — because that’s all they wanted. 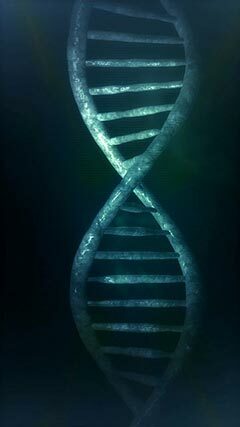 DNA is a new gateway that is ushering in thousands of new people into this pursuit we call genealogy. Before that, it was the Internet that opened the doors. Before that, it was the usegroups and listservs (and the walled gardens of AOL and CompuServe). And there was “Roots” before that. As each new gateway opened, thousands of people poured in. Many were vaguely curious, poked around a little bit, and left. Others became motivated to learn even more than what they initially were looking for. The DNA transformation that we’re seeing isn’t any different. To my fellow professionals — let’s stop wringing our hands that these “new people” are going to be disappointed that they “have to do research” and that “it isn’t that easy.” Let’s stop assigning our motivations to their desired outcomes. Let’s instead focus on being available to answer questions for those who discover that they do want more than an ethnicity estimate. Let’s focus on making their first steps into research a positive experience. 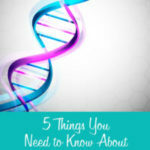 Not everyone who starts with a DNA test is going to become a passionate genealogist. However, many of them could, which ultimately is good for genealogy. Let’s make them feel welcome. This entry was posted in DNA, Musings and tagged AncestryDNA, DNA, genetics, musing by Amy Johnson Crow. Bookmark the permalink. If I could ask you experienced genealogists to do only one thing for newcomers, it would be to demonstrate how to identify and record sources. 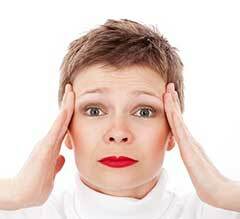 Oh, the headaches that would save! Ask away, Katie! Tell me more what it is you need help with. I wish there was a way to “lock” verified info into a record to prevent widespead sharing of incorrect info. For example death date vs burial date vs. the date the obit was published in a newspaper! Also wish there was a way to correct incorrectly recorded or transcribed “official” records. You can correct incorrectly transcribed records on Ancestry. I think you can also do that on MyHeritage. 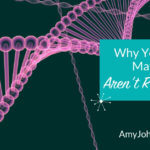 This post reminds me why Amy is one of the very few genealogy blogs to which I subscribe. She’s measured, reasoned, sensible and helpful. Thanks! Thank you for those very kind words, Gary! Exactly. Each of us will do genealogy in a way that makes sense to us, labelled, sourced, and saved in a way that makes sense to us. If it meets our goals, then it’s a good thing. I haven’t done the DNA thing yet, but I very will may at some point, in my own good time. And other people may do DNA and then do research, in their own good time. We’re all winners! DNA is just as exciting to me as going and finding that dusty book in the library or old document in an archive. For those that ask me about the “deep genealogy” (after you clarify their needs) & DNA use, I say “yes do it” because it narrows the number of haystacks in which to look for the proverbial needle. Also if DNA brings younger generations into genealogy I am all for that. DNA has its place in genealogy and family research. It doesn’t replace visiting libraries and courthouses or searching through on-line archives or the rest. It’s a tool like all the others. I like your voice of sanity here, Amy! I completely agree Amy. In my blog one of my tag lines is; “I’m looking for cousins”. I encourage everyone to test. It just might help me to break a brickwall. 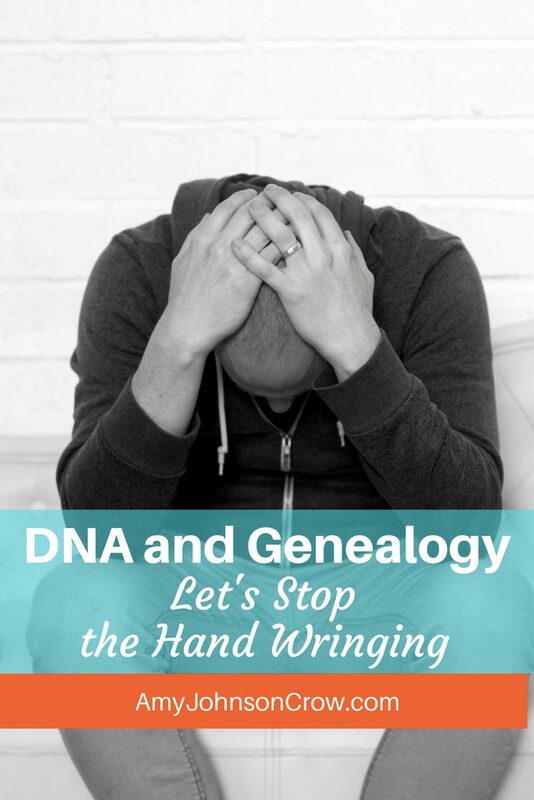 Each of us had our own motivation to start doing genealogy and times change and if this gets someone interested in genealogy then I’m all for it. We all had to start somewhere. Excellent post. Your historical summary is particularly interesting and valuable. I think Katie’s reply was only to say that those of us who are experienced need to show (and emphasize) to newbies the importance of citing sources (and doing it correctly). I have my own theory as to why so many are bad at citing sources: virtually every Family Group Sheet (FGS) paper blank form I’ve seen, prepared by and available online from established organizations, does nothing to help newbies (who start on paper, remember?) realize that they need to record sources. A member of our society created her own FGS and put parentheses, with a small space between them, at the end of each and every box on the sheet. (Square brackets could also be used.) The bottom 1/4 of the sheet was lines with parentheses in front. Second pages for children info was similar. Without this device, newbies think they are “done” when they just fill in the box. Only later might they get the news that citing sources is important. If EVERY Family Group Sheet made it EASY (and visually “mandatory” from a filling-in-the-blanks perspective) to write down a source number and start a source list, then IMHO we wouldn’t have nearly so many people who “graduate” from paper to an online tree while blithely ignoring the need for citing sources. This reminds me of the uproar in England when “Hamlet” sold out in like 2 days because David Tennant was starring in it. Kids were going for “all the wrong reasons”. No, there is no wrong reason for a kid to see and enjoy Shakespeare. And there is no wrong reason or wrong way to get into genealogy. Sure, some will never go further than their ethnicity estimates but some will become passionate genealogists who go on to discover all the other resources available for learning about their ancestors. This is just how it is now, but don’t take it from me, take it from an industry expert. Tamura Jones highlighted Kerry Scott’s blog post in his Genealogy 2016 overview, and called it one of the genealogy trends. Theirs are voices of reason. The newcomers don’t upset me. Their new ways does not upset me. What upsets me is the one-true-way ‘certified’ genealogy police. To each his own. All those DNA tests will benefit us too. Great thoughts! I have three new clients who started their search with DNA testing and now want that paper trail to go with the DNA. My wife has done the DNA test. It was interesting to find our what the test produced. However, it does not take the place of research. Have a blessed day. I agree with most of what you said. About a month ago, I was able to identify the biological father of a previously unknown 2nd-3rd cousin using tools on ancestry with verification through Gedmatch. However, living in a city that has a predominate German population, I can’t begin to describe the frustration of my fellow genealogists who never see “German” in their ethnicity reports. Western Europe doesn’t do it for them. So I have to ask, why do they insist on rerunning the lederhosen to kilt commercial? It makes me want to scream. Ancestry runs the lederhosen and kilt commercial because they make a good “visual,” which is what TV is all about. It not about facts or accuracy, TV is in the business of selling eyeballs to the advertisers. Sorry if this sounds cynical, not all countries are this way, but that’s how it is here. I started because I wanted to find out if my mother had told me the truth about who my father was (it was a subject that was never discussed). My mother has since died and I feel I can now look into it. Having my DNA tested has given me a contact which confirms what I was told. Also my ethnicity which was a surprise supports this. I still have a long way to go, have a lot to learn and will need peoples help. So to all those out there who help us and answer our questions, sometimes very basic questions Thank You. Never feel bad about asking a “basic” question! First, none of us were born knowing how to do this 😉 Second, the only stupid question is the one that isn’t asked. I’m glad that you’ve been able to find some of the answers you were looking for. Thank you for this post! I’ve been doing genealogy for well over 10 years now- still feeling like an amateur- and largely because of all the “snobs”. What they also don’t seem to understand is that we’re not all 60 and single with a lot of time on our hands- I’ve been homeschooling our children since 2002, and it’s very hard to carve out time to do this. And most places that I need to do research at don’t have a suitable place for me to be able to bring my kids with me. Enough of my rant, but it felt good to get that out! I know how you feel Leslie, I have been researching for 8 years, been interested for much longer, but 8 years ago was when a friend showed me Ancestry. All my research is online. I have never been to a library or archive, not because I don’t think they are valuable, but because my parents were born over 10,000 miles away from where I live. We make the best of what’s available to us. Keep at it! Thank you Amy for this well-stated perspective. You nailed it. Thank you for addressing a question I’ve been wondering about, which is, what’s the deal with DNA testing and why do people do it? Different motivations makes perfect sense to me. You’ve provided good insights here! So have to go generation or 3 back? Really good points. We’re evolving. We also got upset when the slogan was “you don’t have to know what you are looking for, you just have to get started.” Whatever gets you started is a good thing. For Leslie…Not all are 60 yr. olds Some are like me 90 yr olds and still at it. Pre internet /post internet, court houses and libraries. Do what you can when you can! Can go back past 1300 but can’t find great grandfather origin!!! Still trying. Has to be name change? Just keep on looking. Good Luck. Beats TV. Getting DNA test results is easy. Matching most DNA relatives is (in most cases I think) rather impossible. So what if we know that we share so many cM with someone we never before heard of? The discovery of the joint ancestor that binds very distant relatives is not really guided by the DNA data. The real question is what value there is (beyond perhaps origins) to the DNA test in the essential quest of genealogy? Can someone please offer a reply or a suggestion? Well, seems to me that Ancestry dot com should allow an ‘opt out’ policy for those who want to take the test solely for the ethnicity estimate. That way those who do want to connect with relatives aren’t wasting their time or getting their hopes up.